If you have a child heading off to school this fall, chances are you’re doing the same thing as other parents across the country: Paying the bill. But withdrawing money from a 529 plan account isn’t always as simple as paying your electric bill. Avoid these traps that could delay your payments or increase your taxes. In most cases, it’s easy to request a withdrawal. You can call your plan administrator, make a request online, or submit a withdrawal request form. 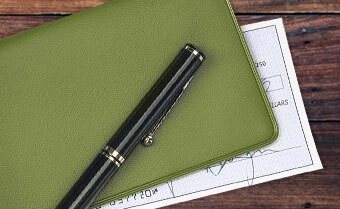 The plan can send withdrawals by check to the account owner, the beneficiary, or the school. You can transfer the money to yourself or the beneficiary electronically and then make payment to the school. This process generally takes 3–5 business days. That’s why, to ensure you leave enough time for the payments to arrive, it’s best to not wait until the last minute to request your withdrawal. Also, a best practice is to keep receipts, if you’re paying the bill with 529 proceeds. In order to get the benefit of federal tax-free earnings, you must use your plan money for education-related expenses. If you don’t, you could owe a 10% penalty on the earnings attributed to the withdrawal, as well as federal income taxes. Equipment, including computers, internet access, and computer software. Certain room and board expenses. Expenses for students with special needs. Travel costs, such as airfare to and from school. As of 2018, federal tax benefits also extend to tuition for elementary or secondary education. Up to $10,000 per student per year is considered a qualified expense for tuition at a public, private or religious school. However, different rules apply from kindergarten through grade 12. State tax treatment of withdrawals for K–12 tuition is determined by the state where the taxpayer files state income tax. Consult with a tax advisor regarding your personal situation. For a full list of qualified education expenses, review IRS Publication 970. You might want to spread out withdrawals over the 4 years of college. That way you’re less likely to withdraw more than your yearly qualified expenses. You might want to spread out withdrawals over your child’s scholastic term whether that’s across 4, 8, 12, or 16+ years. That way you’re less likely to withdraw more than your yearly qualified expenses. When calculating how much you’ll need, make sure you subtract any scholarship or grant money from the amount you’re planning to withdraw. Also, deduct any federal tax credits, like the American Opportunity Tax Credit. This credit is worth $2,500 per year for students who are enrolled at least half-time at an eligible institution. It’s available to families with a modified adjusted gross income that’s $80,000 or less (single) or $160,000 or less (married filing jointly). If you claim the credit, it will reduce the amount of your expenses that are considered qualified. Note: When you use this feature, you'll leave missourimost.org and go to a third‑party website. Neither the MOST 529 Plan, the State of Missouri, Ascensus Broker Dealer Services, Inc., nor Vanguard or any of their respective affiliates takes responsibility for content on third‑party sites or the services provided. Please be aware that when you use services provided by a third‑party site you're subject to that site's terms of service and privacy rules, which you should review carefully. Checking your 529 plan account balance? Don't forget about your allocation! College bills on the horizon? How are they paying for college? If you are not a Missouri taxpayer, consider before investing whether your or the designated beneficiary's home state offers any state tax or other benefits that are only available for investments in such state's qualified tuition program. Other state benefits may include financial aid, scholarship funds, and protection from creditors. Missouri taxpayers can use MOST 529 assets to pay for K–12 tuition at public, private, and religious institutions, with no Missouri state tax consequences. State tax treatment of K–12 withdrawals is determined by the state where the taxpayer files state income tax. If you're not a Missouri taxpayer, please consult with a tax advisor. Federal legislation allows rollovers from 529 plans to Achieving a Better Life Experience (ABLE) accounts without incurring federal taxes up to the annual ABLE contribution limit. Missouri statute may allow for rollovers of MOST 529 assets to ABLE accounts without Missouri state tax consequences. We suggest MOST 529 account owners who are residents of other states consult with a tax advisor about their state laws. The Missouri Education Savings Program (the "Program Trust") is a trust created by the State of Missouri. When you invest in MOST—Missouri's 529 Education Plan (the "Plan"), you are purchasing portfolio units issued by the Program Trust. Portfolio units are municipal securities. The Plan has been implemented and is administered by the Missouri Education Savings Program Board (the "Board"). Ascensus College Savings Recordkeeping Services, LLC, serves as the Program Manager and Recordkeeping and Servicing Agent, and together with its affiliates, has overall responsibility for the day-to-day operations of the Plan. The Vanguard Group, Inc., serves as Investment Manager for the Plan. Vanguard Marketing Corporation, an affiliate of The Vanguard Group, Inc., markets and distributes the Plan. The Plan's portfolios, although they invest in mutual funds, are not mutual funds. Investment returns are not guaranteed, and you could lose money by investing in the Plan. Participants assume all investment risks, including the potential for loss of principal, as well as responsibility for any federal and state tax consequences. Upromise and the Upromise logo are registered service marks of Upromise, Inc. Vanguard and the ship logo are trademarks of The Vanguard Group, Inc. Ugift is a registered service mark of Ascensus Broker Dealer Services, LLC. © 2018 State of Missouri.